← Records Revisited Post 4 of ?? Are Bees Wild or Domestic? Good brood pattern for a feral queen. I have been pondering the question whether to classify bees as wild or domestic creatures or if it even matters. To most people I suppose it doesn’t matter, but with my background in biology and chemistry I am not comfortable with something being unclassified. In doing some research for this post I have seen both sides defended vehemently and been amazed and intrigued by the logic behind those answers. The reason this is weighing on my mind has to do with determining a course of action when performing selection in my apiary. I am struggling with a common practice in beekeeping. The practice of replacing the queen in a colony that has been identified as too aggressive or HOT. I am also perplexed at the lack of any standard for making such a determination. Just to be clear to all readers: I am not speaking about Africanized Bee levels of aggression. This post is regarding European Honey bees only. I don’t have Africanized bees in my area and have no experience with them. A bee tree found on a friends farm. They report it has been there for years. Prior to this summer I was not as concerned with any of this. After performing several cut-outs and visiting a lot more bee trees, I made an observation that has me thinking of it a lot now. In the majority of my dealings with bees surviving a feral existence I would classify them all as at least highly irritable if not downright HOT. In several instances I have gotten head bumps and sting greetings by merely standing in a flight path long enough to snap off a couple pictures. That’s HOT! This consistency in aggressiveness or pro-active guard behaviour seems to also correlate with other traits that I find valuable in my bee operation. Overall vigour and ability to overwinter without intervention is important to me. 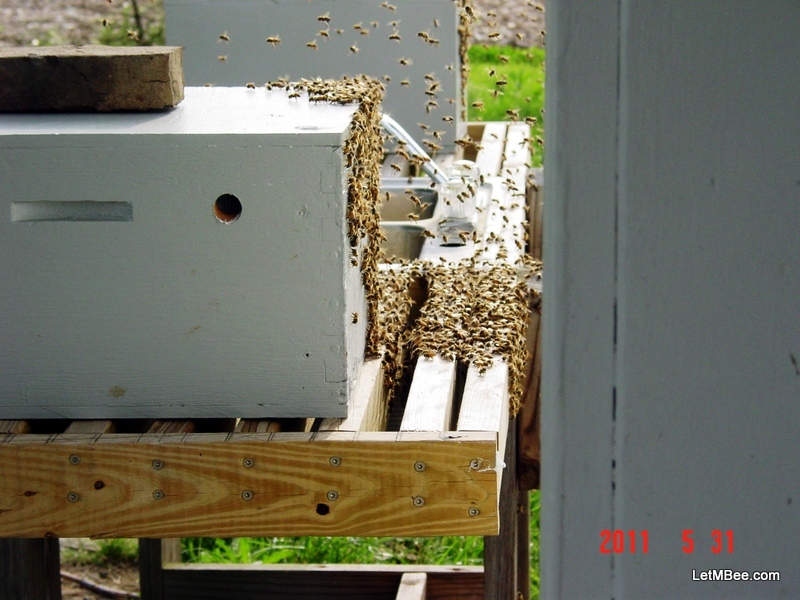 In all of this summers cut-outs hive numbers were large, indicating good laying queens. 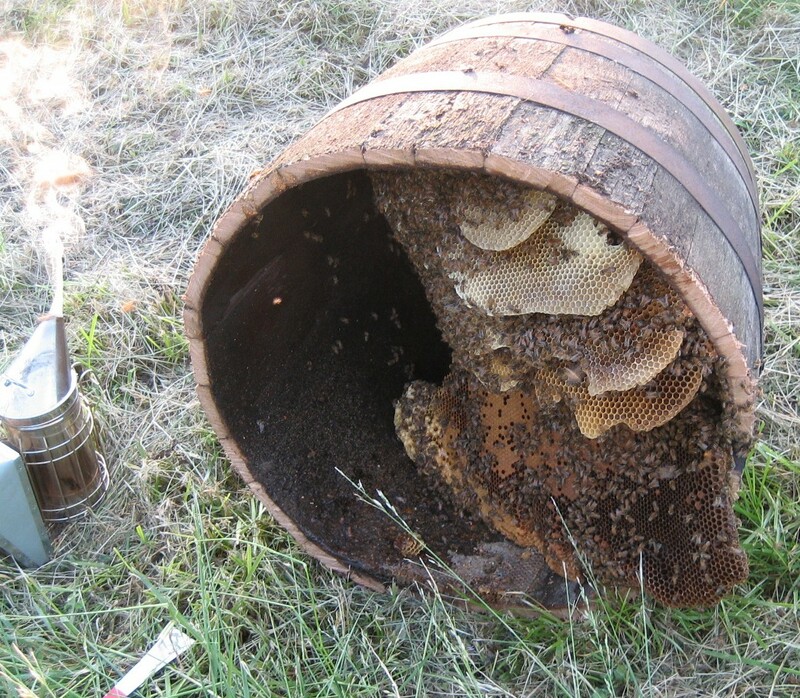 Substantial amounts of honey were found within the hives as well, indicating both numbers and good work ethic. 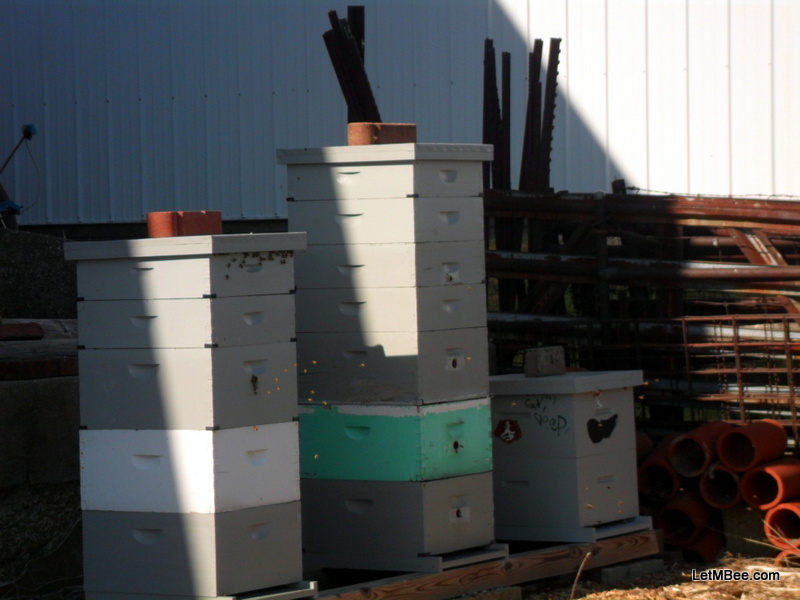 Several cut-out hives had several years worth stored up, showing that they were able to produce a surplus consistently year to year. All of these traits were displayed and there was no ongoing human intervention. My kind of bees! The bees removed from an old house near here featured in YouTube video: Christmas in July Cutout 2012-07-28 were ON FIRE!!! When the cutout began even though a lot of smoke was used, the guard bees came out with nothing on their minds, but vengeance for our intrusion. I was stung 10-15 times within seconds. I had to get away and put on more layers of clothing. The two other guys took just as many hits and had to do the same thing. But wait….. These are stinging insects, and I was destroying their home, that happened to have almost five – 5 gallon buckets of honey in it. I can’t fault them for stinging, or call them mean. This is 6/27/12. 1001 is the left-most hive. So are bees wild animals? All except one of my hives have come from some form of feral/wild existence. Even that one has re-queened itself since being acquired and taken on a slightly different, more aggressive personality (Hive 1001). I do not know what other keepers would do if they had these hives. They can be worked without gloves on perfect bee days with no wind, but if opened on a less than ideal day you had better be wearing protection. I would never attempt to work any of my hives without a veil. At this time, given the multitude of problems faced by the beekeeping industry perhaps it may be wise to rethink the selection processes we have been using. Currently my method of selection is being based solely on the bees ability to overwinter without feed or treatment. Kinda like how bees living a feral or wild/existence would be selected. Therefore I can see the logic of not killing queens if you think that bees are wild animals. Turn your back on this guy. NOT a good idea. Disagree and think it is cut and dry that bees ARE domestic animals? My next question would then be, are we treating bees like other domestic animals? How many beekeepers have raised any other domesticated animal other than a dog or cat? Growing up around both hogs and cattle, I know that even though both are classified as domestic, and like a good scratching around their head and ears, NEITHER CAN EVER BE TRUSTED. Taking precautions and being safe around them was just part of growing up on a farm. I know from experience, if you turn your back on a bull or a boar, they are aware that you are not watching. That is when you get hurt. 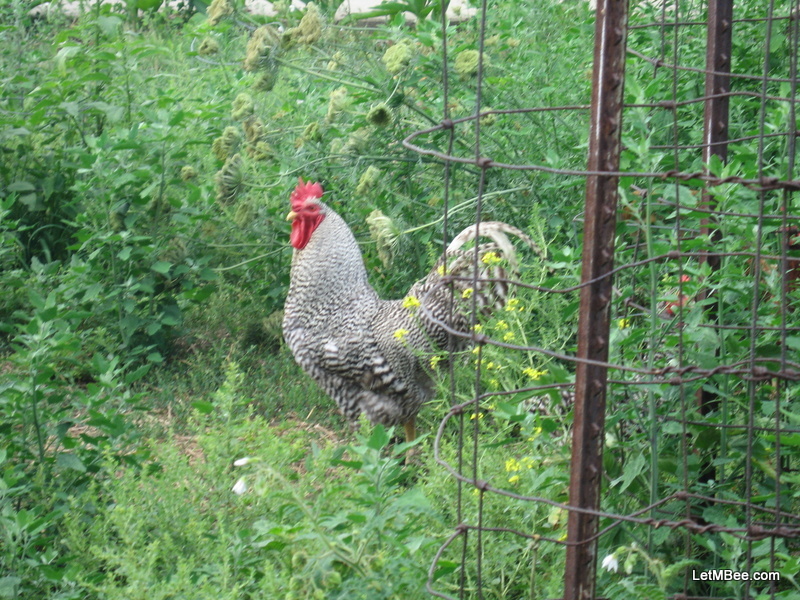 My daughter will attest that our rooster will wait for you to turn around before he will try to attack. It isn’t that they are mean, it’s because they are animals and that’s what they do. I know protective clothing is hot and it makes for good pictures when we can work our bees without it. It is good for us, but is it really beneficial for our bees other than making us slow down a bit. Perhaps protective clothing could be looked at just another domestic animal precaution since we can’t watch every single one of them. Even if they are “domestic” I can see the logic in not wanting to kill queens based upon an unstandardised interpretation of ill-temperment ALONE. My wife will probably attest that I have days or even weeks where my mood is a little less than cheery. I would venture that a hive of bees collectively could be similar. During periods of dearth or even very windy days I have observed moody bees while trying to mow the yard. Don’t think a hive of bees “mood” can change? You will change your mind if you have one go queen-less and attempt to do a hive manipulation or have a surprise thunder storm pop up unexpectedly while checking a hive. A Dr. Jekyll hive suddenly can display all of Mr. Hyde’s personality in the blink of an eye. So how does all of this tie in with a discussion of bees being wild or domestic? Next week I will be writing about some experiments performed over the last 50 years with fox domestication. In the experiment animals were selected based on aggressiveness of behaviour. Basically, did they try to bite a human if they got the chance. Based on a fairly simple form of selection, amazing and unexpected behavioural, physical, and neurochemical changes have taken place. The moral of the story: selection based on behaviour can have unintended effects on a population. What if selecting for bees based on behavioural factors could have consequences we have no way of predicting? After reading what happened with the foxes, I think I have passed WHAT IF as a question. I want to think about what the consequences might already be. Are bees domestic or wild? Would you answer to the previous question alter your decisions on replacing a queen for aggressive behaviour? Is there or should there be a “Scale of Behavioural Aggression” to assist us with making such selective determinations to make them more objective? How do we assure ourselves a subjective assessment of aggression is a result of genetics, and not some unobserved environmental factor resulting in the destruction “moody bees” with valuable genetic lines that could have overcome varroa, SHB, or even CCD? Have a nice weekend, but don’t stop thinking. This entry was posted in Cutouts, Posts, Rants and tagged bee, bee genetics, bee tree, cut out, feral bees, Indiana Beekeeping, Jason Bruns, treatment free beekeeping. Bookmark the permalink. 10 Responses to Are Bees Wild or Domestic? What an interesting post. My city code says honey bees are considered domestic livestock. Living in the suburbs, I don’t really know what that means other than that there are codes for me to follow. According the city code, I am obligated to requeen a hot hive. My neighborhood is densely packed, so while I wouldn’t like doing it, I get it. If I lived on acreage, though, I probably wouldn’t requeen unless the hive was impossible to work. I’ve seen many recommendations to requeen yearly or every other year, just to keep ahead of varroa. I did lose a colony after a year-and-a-half, likely to varroa, so I’ve been pondering this practice. The two hives I have right now are Spring-started colonies stocked with “Survivor” bees, so I’ve got time to keep thinking on it. The question that’s been bothering me is how do we manage honey bees given they are not native to the US? Is it irresponsible to propagate a potentially invasive species? What are your thoughts? 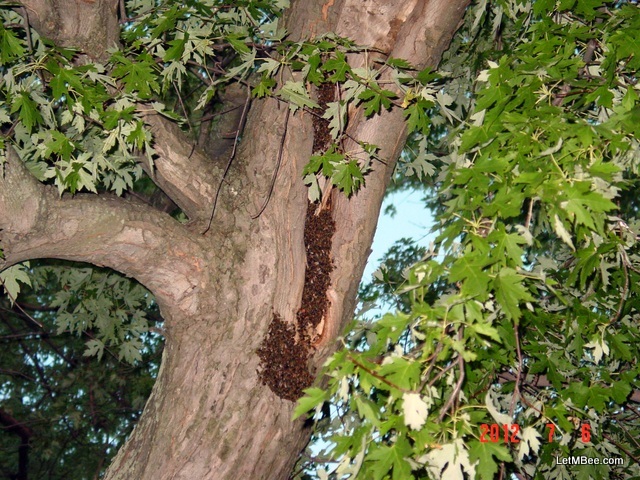 My main question with city and municipal codes is, “who makes the call?” What objective measure of aggression is used to evaluate a HOT hive. If your neighbor has a problem with bees is that enough? If they shake the hive and get stung is that too hot? I had one hive (FM02) that was nearly impossible to WORK last year. As long as you didn’t take the lid off things were fine. You might get a head bump if the guards thought you were too close, but they wouldn’t just see-n-sting ya. 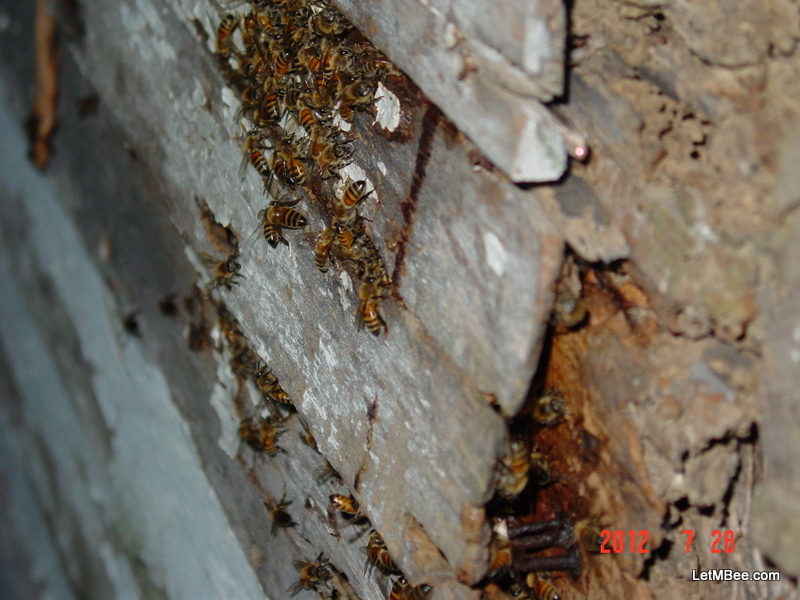 This year I believe that they swarmed or requeened themselves, because there was marked decrease in activity at the entrance during May and June as well as almost no honey production in the supers. Later in July and August there was a steady increase in bee numbers. I observed FM02 last Thursday and they were at a good level of activity and NOT a box full of drones. When I went to put the mouse guard in I was not mobbed by bees, which was a definite change in personality. This hive is more manageable and I didn’t have to do anything. I haven’t been in them since I determined that I would get no honey from them (June). The true test will be to see what I have at the spring inspection. I have also read about requeening, and have decided to let my bees handle it when and if they need to. Since getting into bee keeping I have become aware of bee trees and hives in old abandoned houses that have been continuously occupied for twenty and thirty years. It is my hypothesis that if I allow my bees to do what they need to do unmolested, they can overcome many issues, just as their feral sisters have done. They have been on this planet for a long time. I don’t feel that just within the last hundred years they decided collectively that they somehow needed us humans to monkey around with they way they handle pest and disease issues. Their way of dealing seems to have served them well up to this point. I do lose a couple of hives every year, but catch new ones every spring. The number of losses as a percentage of my total number of bees continues to go down. In response to whether they are invasive or not, it is without question that they are. That cat got out of the bag in the 1600’s and I feel there is little chance of ever putting it back. We must not forget that the European race of humans is also INVASIVE to the North America so I am not going to begin shouting “death to the invasives” from my rooftop. 🙂 I have SHB in some of my hive sites to the south, and have taken great measures to NOT spread them around to unaffected sites. As a realist I know it is only a matter of time. I heard a response to the question of invasives on a podcast one time. When questioned about planting non-native food plants on his property, the guy said that everything he planted was native to planet earth. We as humans call things invasives and think of them as a problem because we are always thinking in terms of WINNERS and LOSERS. In my observations of nature every species will NATURALLY attempt to spread to new habitats, by whatever means that are made available. Some are just more successful than others. Some currently believe are that all humans came out of Africa some X thousand years ago. Others believe we all came from the garden of eden. Regardless of where we started we spread out from there and became invasive to everywhere else. I don’t know how it happened, but it is the state of things. Current beliefs are that slowly over time the land masses are moving. So say humans weren’t even on the planet. Eventually North American would have smashed into the European continent and bees would have been all over. I was born in 1976. Bees had already been here for over 350 years. I am just going to go with the hand I was given and take the bees that were living here, put them in boxes, and see what happens. Many excellent points! Thanks for the post. Personally, I think bees are wild animals that man is foolishly attempting to domesticate. Giving them a home and stealing honey is one thing. Thinking we can successfully tame them is another. I’m in favor of letting bees re-queen themselves. “bees are wild animals that man is foolishly attempting to domesticate.” – is an awesome statement Bill. I am experimenting with letting the bees requeen themselves and will be keeping you posted. I just don’t see how anyone would believe that some queen from hundreds of miles away can bring the genetics required to handle the climate of my region better than a queen that was raised here BY BEES. What a great post with great comments too; very nicely done. I learned early on that the healthy bees were the hottest and just worked with them. I found that two layers of clothing are a great equalizer but you can still expect a healthy hive to find a chink in your armor if you hang around long enough. I have actually gotten stung via a thread hole in a leather glove; that is what I call pinpoint accuracy. 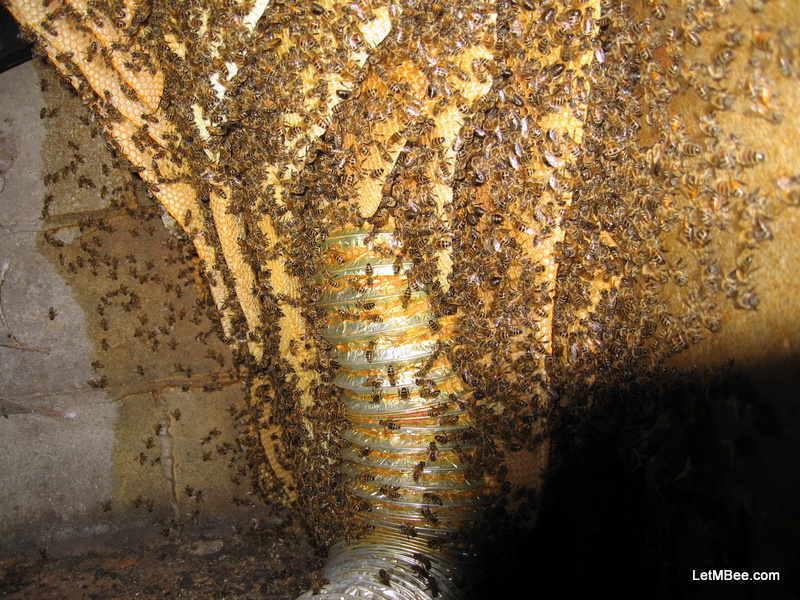 So we want a queen that lays plenty of brood the works hard and does not sting; this is such an unrealistic expectation that I wish science would quit trying but fat chance of that happening. Therefore it is up to those of us who live free of the “bee police” (whoever and wherever they are) to raise the hot, happy, and healthy honeybees in hopes that the species will actually survive. I have to be more vigilant now that I live in a neighborhood and make sure my bees don’t get so hot that they sting neighbors in their own yards. If they get that hot then I will have to find some clandestine out yard for them or quit beekeeping altogether. It has been my experience that without being provoked even the hot hives rarely pay much attention to folks 50 feet away. But… As Jason has mentioned, provocation comes in many forms and for any determined guard bee, any unprotected face will do. 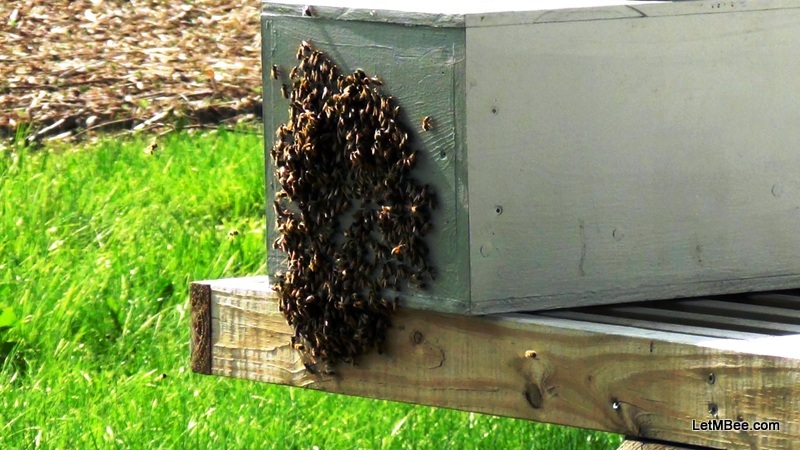 I think it is crucial that beekeepers with enough space to avoid a public nuisance should raise healthy bees, and they will fairly rapidly get hot. So even if you have a hundred hives you should set aside a yard to raise a few hot bees because it is good for the bees and it builds character. Keep up the great work Jason, I’ll link to your blog. I agree that the expectations set by many are unrealistic. Speaking of bee police do you take American Bee Journal? This month there was a pretty good article by a man named Howard Scott – Confessions of a Small Beekeeper. There were things he does that I totally a agree with, and some things I kinda question, but that’s how we all learn. Even if I don’t agree I will file their practice away and maybe even try it. If anyone totally had bees figured out EVERYONE would be handling their bees LIKE THAT!!! Anyway Mr. Scott disclosed that he NEVER requeens, which I think is great if you are a beekeeper who cares about the long term prospect of bees. Biologically it only makes sense to let them propagate themselves. I look down and see “1Editors Note: yearly requeening is recommended by some commercial beekeepers.” That’s the bee police talking…. First off, this article was Confessions of a Small Beekeeper, not Confession of a Migratory Bee Magnate. How can bees adapt if beekeepers are always requeening with queens that come from half way across the country? It makes no sense. Oh…. commercial beekeepers, you mean the same beekeepers who are most affected by CCD a condition we still aren’t sure the cause of? OR do they mean the ones supplying queens? What if genetics is playing a role in it? Don’t want to get too far off on a tangent, but I just read that last night. Has me a little fired up. Even though my hives are hot, if I am not getting in them they don’t cause any problems. The only time other than hive manipulations when their wrath can be felt is on days I try to mow right next to them and it is really windy. I have one hive that likes to sting the Hive Host. I figured out last time I was there why. A bee flew over near him and he instinctively swatted at it. When you do that you’re GONNA GET STUNG! It is not the bees fault at that point. As time goes on I will be letting you know how things are going around here. The more I LetMBee the better they seem to do. Through networking and sharing of ideas I believe that “small” beekeepers will be the key to helping bees overcome the problems that have been CAUSED by some of these other beekeeping practices. Check back in and thanks for reading. I think bees are wild, period. They don’t need us. We are the ones concerned with all these characteristics and grades. It’s sort of like if a tree falls in the woods, does it make a sound? Some people say no, but I ask why? Does someone have to hear it to define it as a sound? I am only concerned with aggressiveness because I live in a neighborhood. 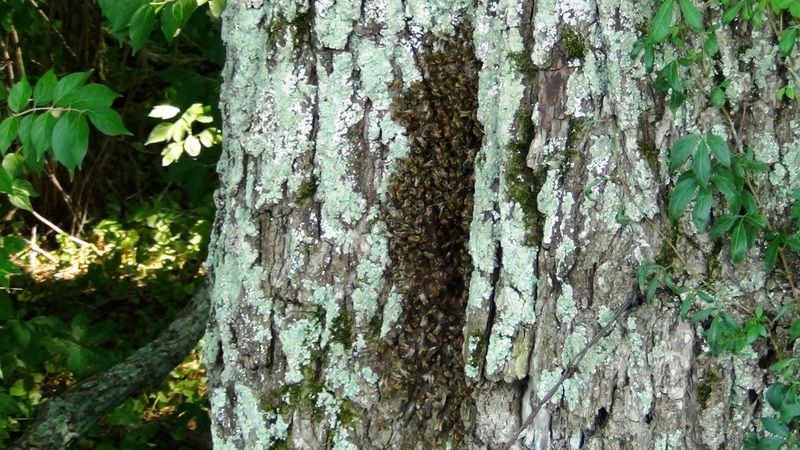 We once came upon a feral hive in a nature preserve. We wanted to see them and approached the hive. They chased us away, but that is their prerogative. No one was concerned about it because it was far from human habitations. If I had hot bees and had an area to keep them far away from people, I would keep them. Of course, I am also not talking about keeping AFB. But even with AFB, there are some people who keep them. It’s all about the circumstances for me. Great line of thought. I have never understood the logic behind the tree falling in the woods argument. There are many things that happened on this earth before humans were here. Take the evolutionary method, or the biblical… Humans weren’t here for it, but it happened. I have quit getting into my hives to check for things like AFB or disease in general. When a colony fails I disassemble it and determine what the cause was. Perhaps I have just been lucky, but I just haven’t had that many losses. Re; your observation above concerning the ABJ foornote on requeening. & the bee police. I’m not so sure it’s bee policing as much as good business: many of their advertisers seel queens. Not being that big, and not having a motive of looking out for advertisers’ interests, I think letting the bees requeen themselves is not a bad idea at all. For me, swarms, swarm cell splits and walkaway splits serve me well…I do often break a couple cell wall on a walkaway to prevent the need for nurses to float a larva tot eh cell mouth before forming a queen cell, though. I will be doing some walkaway splits next Spring employing the method of breaking a couple cell walls as you describe. The way I look at it if you are requeening for consistency the only thing that will be consistent is that you will need to replace your queen next year. I might look at this differently if I had ever heard of a bee supplier that gave refunds for queen or colony failures. In other forms of livestock if you get a dud there is a good chance of working out a deal with the supplier on a replacement. I am not ashamed of having a goal in beekeeping of profitability. Another goal is to make the breed better in this part of Indiana. I have found consistency in my operation in regards to trapping. I mentioned it on the blog…… Bees that come from specific pockets of habitat around me consistently either survive on their own or expire. See: Where your bees come from matters. Sustainability is also another goal I strive for. As with many endeavors, “choices” make beekeeping as expensive or economical as the keeper decides. I am not blogging for the industrial beekeeper and I don’t plan on quitting my day-job anytime soon. What I want to express to anyone who will listen is that beekeeping doesn’t need to be a hobby that requires massive amounts of repeated cash infusions to keep bees in your hives.